Sorry again, been really busy because of configuring my Linux servers, but now everything seems to settle down. I found great strong '73 400cid block, should be STD bore, just what i needed for my project. Hope it will pass crack tests. Crankshaft that I bought earlier was crack-checked, and of course, there was 2 really small cracks. Starting from the surface that rests next to rods big-end (where you will wanna those full-radius made). I have taken more picture of my car, garage and motor. Will be here later. Oh, almoust forgot, new Rods are on their way from usa. C.A.T full cnc work, 6.535" lenght, BB chewwy. They look alike eagles. I calculate that with 3.900" stroke and 6.535" & 400block, i can manage piston with enough material over top piston ring + no rings-bridges going over Pins, and still light ones. Should be able to handle abuse of centrifugal blower. I think Ross will make my custom pistons. I promise to update site more often. Site was down 2 weeks ,because of moving my web server to different place. Hope my server can serve you as well. 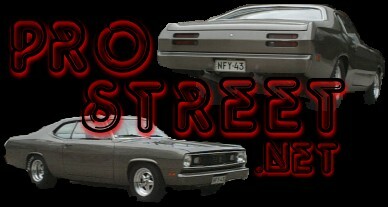 Upcoming events will be my new motor, blowered 470cid, i have allready start to build it, stay tuned.